This week's shop updates are all about kids and family. From durable furniture built to withstand family dinners and cozy movie nights to toys that inspire the imagination to notebooks that bring out the kid in us all. Don't forget, blog readers get 10% off their first order using the handy dandy code you see in the sidebar. Just enter BLOG10 at checkout. 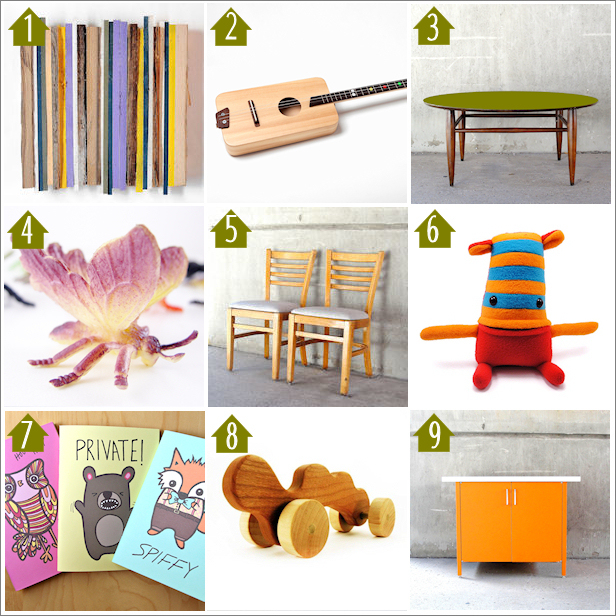 And as always, there's tons more handmade and vintage on the website and even more available in our Chicago studio.